Joe Spano is a manager in the business valuation division at VMG Health and is based in the Dallas office. He specializes in providing valuation, transaction advisory, and due diligence consulting services in the healthcare services industry with significant experience with ambulatory surgery centers, diagnostic imaging centers, general acute care hospitals, physician practices, radiation therapy centers, surgical hospitals, and other ancillary healthcare service businesses. In addition, Mr. Spano has performed managed care reimbursement comparison analyses for various clients as well as pre-transaction due diligence analyses. 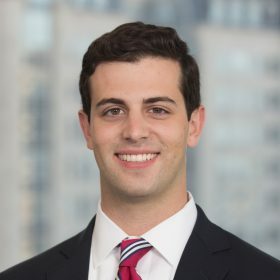 Mr. Spano graduated from the University of Notre Dame Mendoza College of Business with a Bachelor of Business Administration degree in Accounting and holds a Master of Accountancy degree in Financial Accounting from Rutgers Business School. Mr. Spano is a licensed Certified Public Accountant (CPA) and is currently pursuing the Accredited Senior Appraiser (ASA) designation from the American Society of Appraisers.